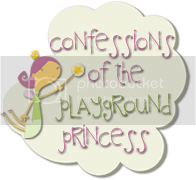 Confessions of the Playground Princess: Remember being a kid? Take a moment to sit back and close your eyes and remember what it was like to be a kid. You attended school; you probably walked there. You would come home and have a snack, and then you would run out and play. 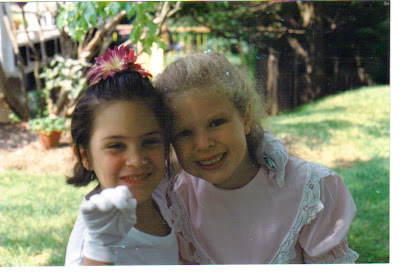 These are some of the best times and memories of childhood. Chances are you have a little movie clip running through your mind -- hopping on your bike, riding to the local playground and waiting to see who else might show up. Your movie clip may include going to a friend’s house and playing in their home or backyard. You might play kick-the-can, softball and other games; some would be physical while others might include make-believe play. Maybe you were a princess awaiting your handsome prince, or a brave pirate looking for treasure. Your imagination took you too many special places. Aside from going to school, this is what you did-- play! Play was your childhood work. And although you probably were not aware, this is where you built the foundation for your social, physical and cognitive skills. These are skills you use in everyday life. All children learn from developmental learning and recreational hands-on-play. Hadley’s Park Projects encompass both parallel and cooperative play in a free and supervised environment. 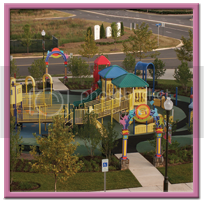 The ideas and visions of Hadley’s Park Projects have resulted in the development of theme-play playgrounds. Often, a playground is considered as strictly physical. When the physical play is mastered, a structure’s limited appeal can lead to boredom. How can we add to the restrictions of physical play? 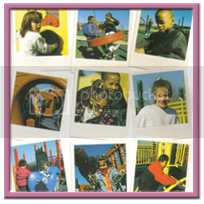 Theme-play offers a creative challenge to the child’s imagination and encourages play for extended periods of time. Theme-play provides endless journeys of discovery and excitement. When children are given an “equal” playing field, they learn from each other through physical and cognitive growth. A child with a disability gains so much by playing with a typical able-bodied peer. What people don’t stop to think about is how the reverse is also important – to give able-bodied children a chance to interact with children with disabilities. Through this cooperative play, children learn at an early age that a young person with a disability is a child first, then a child with a disability second. Children see that people with disabilities have feelings and like to play, just like them. They learn to feel comfortable with people who have disabilities. Children who play together at Hadley’s Park learn empathy while learning to accept people for who they are at an early age. Hadley’s Park helps young people learn not to discriminate or be fearful of the disabled. It becomes a win-win situation and a teachable moment for all the participants. I invite you to help your community and bring a fully inclusive playground to your area, follow along and I will show you the how to’s, all you need to do is get up and “go.” I’m challenging you! 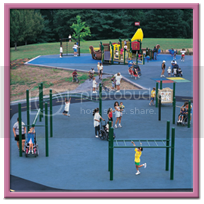 Does your community have a playground such as this? If not come on, what are you waiting for? I'd love to see more fully inclusive playgrounds around the world! I will definitely follow your blog, I'd love to know what I can do. Hi! Popping over from SITS. You were on roll call ahead of me today so thought I'd visit and say hello. I live on the Mississippi Gulf Coast and a lot of people don't even realize that we were hit hardest by the direct effects of Hurricane Katrina all across our entire coastline. Most all of the playgrounds were destroyed, but one of the good things that came out of that was that thanks to donations from all over the country and volunteers from everywhere, we got all new playgrounds all over the coast, many thanks to the folks behind KaBOOM. It was such an exciting time for all of the kids, most of who had been so traumatized by the aftereffects of living through that horrible experience of Katrina, before, during and after. New playgrounds made a huge difference in the mental health of every child here along the coast. Thanks for your invitation. You are a great writer. I am deffinetly following your blog. If you stop by my blog, please write a comment what you're thinking about mine. You truly are a great writer, I know several fellow bloggers wrote the same thing but when you can write a post and get people to think and look outside of their own world its just plain awesome. I wish you a lot of success I'll be following your blog. great post, and great reminder! 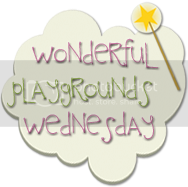 We have a great playground by us that is called Maddies playground and it is inclusive and fabulous! Has a great big covered sand box too! My kids love it there. has a special swing so if a child can't sit on their own they can lay down in it and be strapped in and enjoy the experience. I always thought that was so great, because I remember being at another playground and a mother I knew had a child who was parapalegic and was trying to hold her in the swing so she could swing and it broke my heart. I am so glad we have this park. So important, let's hope there are more!! Hi, Great blog and very informative. I am following from MBC.